Have you ever deleted WhatsApp messages from your Samsung phone accidentally? It is really a frustrating case. But don’t worry, we are going to introduce three main methods for you to solve the problem. It will be much easier for you to regain data that has lost just now. Because WhatsApp will back up your messages using both local backup and Google Drive. What you need to do is simply uninstall WhatsApp and then reinstall it. Next, Let’s see how to retrieve those lost WhatsApp messages. Step 1. Uninstall and reinstall WhatsApp first. Step 2. After verifying your phone number, you will be asked to restore the messages and media from your phone’s internal storage. 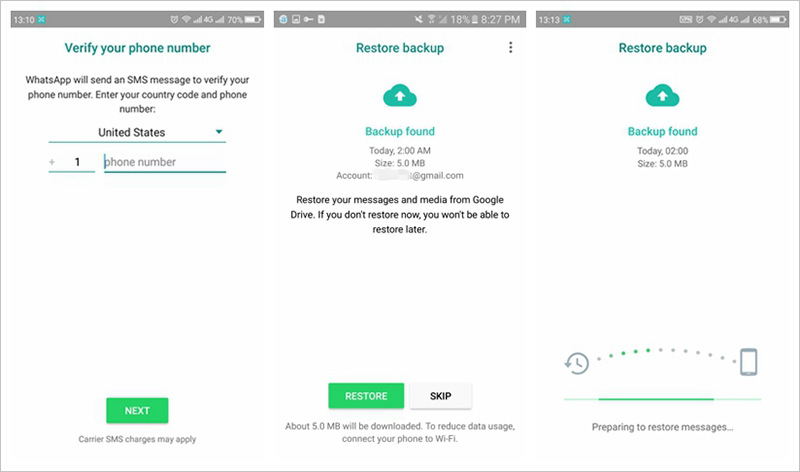 Note: If you have added a Google Drive account in the WhatsApp’s chat backup setting to backup your messages, the WhatsApp will restore your messages from Google Drive. Step 3. Tap on “RESTORE”. 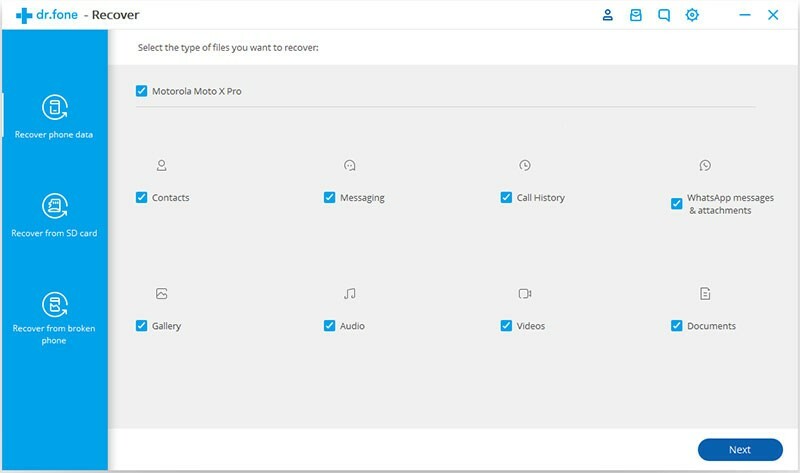 If you have deleted the messages more than one data, the remedy is a little more difficult. You have to rename the backup files before you perform the same steps as method 1. Note that in this case, your WhatsApp should not be synced with Google Drive, if it does, turn off the Google Dive backup in chat setting. Step 1. Connect your Android device to computer and navigate to the local backup folder: internal storage/WhatsApp/databases, if there is a SD card inside your Samsung phone, you may go to the Directory sdcard/WhatsApp/Databases. Step 2. In the local backup folder, the latest backup files named msgstore.db.crypt12, and older backup files named msgstore-YYYY-MM-DD.1.db.crypt12, in which Y represents for year, M for month and D for day. But there are only the last 7 days worth of local backup files. 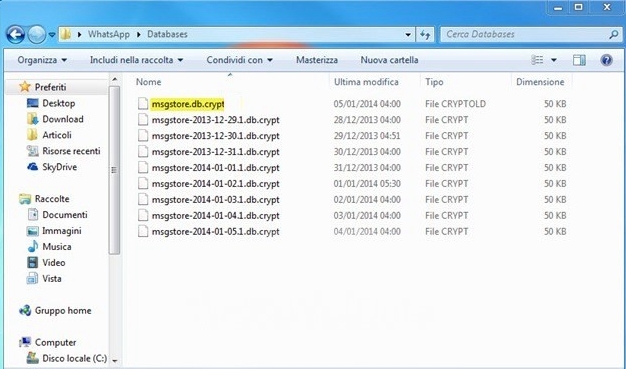 Find out the backup file you wish to restore according to the delete data, and rename the the msgstore-YYYY-MM-DD.1.db.crypt12 to msgstore.db.crypt12. You may renamed the original msgstore.db.crypt12 to oldmsgstore.db.crypt12 or other to avoid overwriting. Step 3. Uninstall and reinstall the WhatsApp, and tap “Restore” when asked. Note: This retrieving process will overwrite the chat history in recent days, but you can restore the new ones by repeating the above procedure. Suppose you have deleted the WhatsApp messages more than 7 days, or the above solutions are not helpful, don’t worry, the unexpectedly-deleted data are recoverable because they are not thoroughly erased but just invisible before data overwriting. 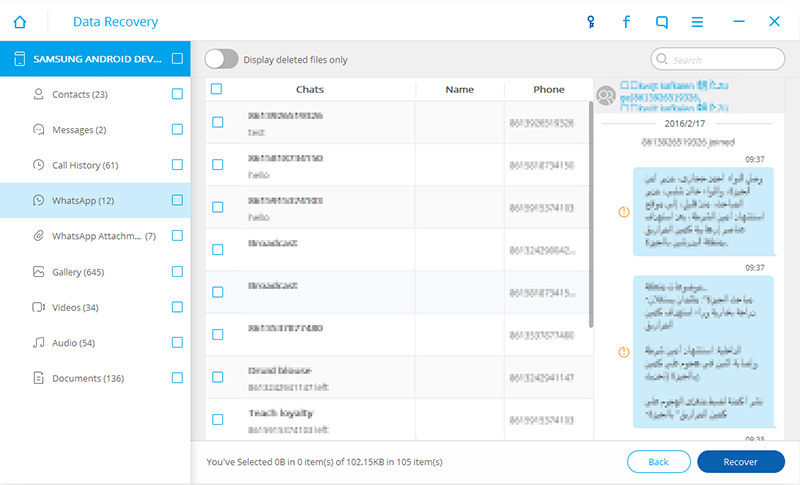 You can try this tool Android data Recovery, which supports to restore Samsung Galaxy S8/S7/S6, Note 7/5/4 WhatsApp data, including chat history, photos, videos, audios, etc. 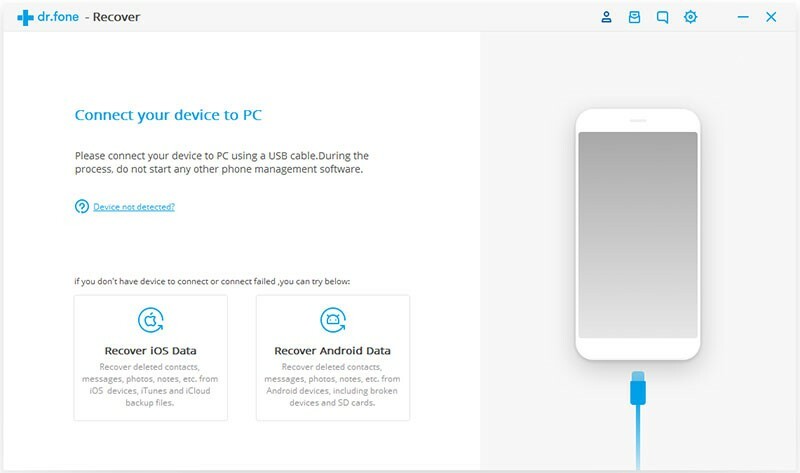 Step 1: After running the software and choose “Recover” feature, connect your Samsung device to a PC, and wait for a while. Step 2: When your phone is detected by the program, tick the checkbox beside “WhatsApp messages & attachments”. Then click “Next” to move on. Moreover, not only the WhatsApp chat history can be recovered, contacts, other text messages, call history, gallery, audio, video and documents can also be restored. Step 3: Scanning mode is to be chosen. Recommend you select the “Standard Mode” first, which will unroot your device after the recovery process, and does not void your device warranty. 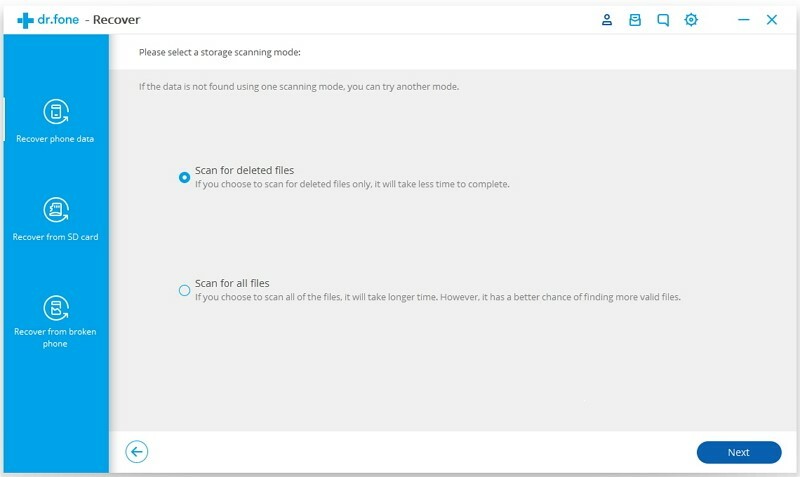 If the Standard Mode fails to fulfill the task, try the Advanced mode, which will root your device inreversible to deep scan the deleted data. Please be sure that its battery is over 20% before the process begins, and click on “Start”. Note: In most cases, Android Data Recovery will root your Samsung device automatically, but if unluckily it could not root for you, you are supposed to complete it by yourself. Step 4: Please be patient during the analyzing process, then you get a list of recoverable WhatsApp massages, select the ones you want and hit the “Recovery” button. Done! You can see that nothing technical and complicated in the above guidance, so every Samsung users can manage to finish the process. 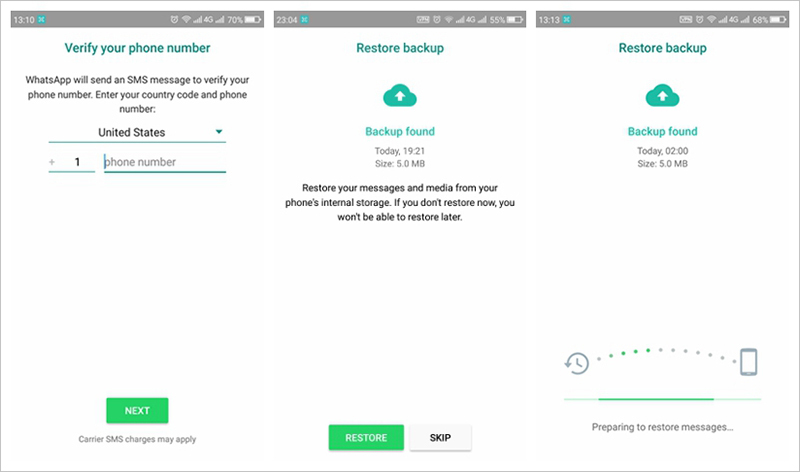 Besides, if you want to restore or transfer your backup easily, it is better for you to creat a Google Drive backup in chat setting, just tap on WhatsApp’s Menu Button > Settings > Chats > Chat backup to create the cloud backup. Hope that our suggestions are useful for overcoming your difficulties.